Cleverly designed storage chest. It clips shut on both sides and the lid may be removed completely or left fastened at one side creating a hinged lid. 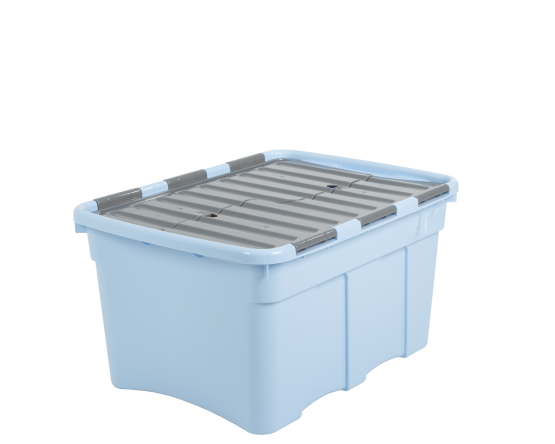 Durable and strong with a large 48 litre capacity.